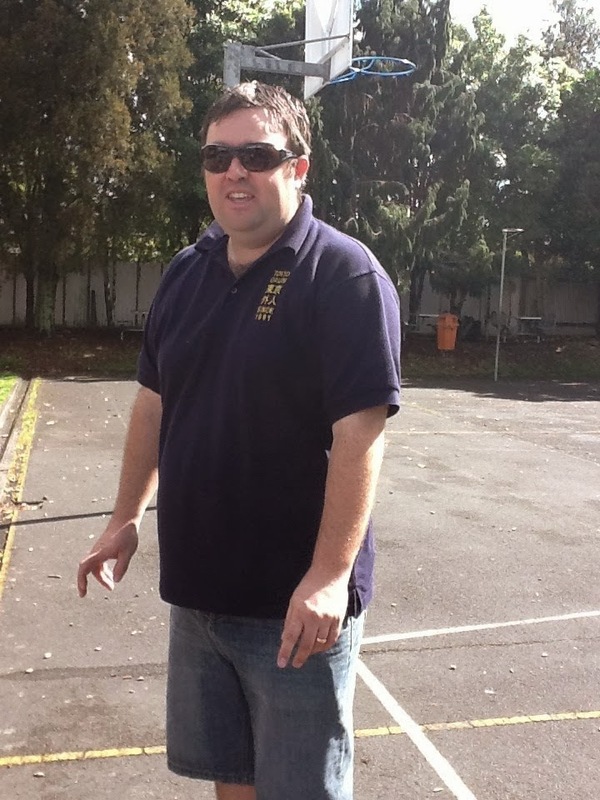 I currently am employed at Hobsonville Point Primary School where I team teach a learning common of Year 2-4 children. Previously, I spent 3 years teaching at Henderson North School with a class of Year 5-6 students. Fridays at Hobsonville Point Primary School have traditionally become PINs day. Most of the school chooses part of the day to focus on Passions, Interests and Needs (PINs). Students plan, resource, lead and reflect on workshops that they deliver to their peers. It has been led by the junior learning commons and filtered up through our school and although my initial experiences with PINs weren't convincing I'm quite satisfied with the impact it has on learning these days. The impact of PINs on teaching HPPS students our dispositional curriculum is complemented by extending the reach of the more academic learning, reaching into areas like the English Language Learning needs of our ESOL students, displaying aspects of Tataiako and fosters relationships with our children's Whanau. Student-led learning is not new. It has always been valued at HPPS through the use of student-led workshops and responsive teaching. Similarly, at other schools projects, passion based learning, public speaking and the notion that there are many experts in the room have allowed teachers to allow for a more facilitative approach to teaching. We are definitely not the only expert in the room! 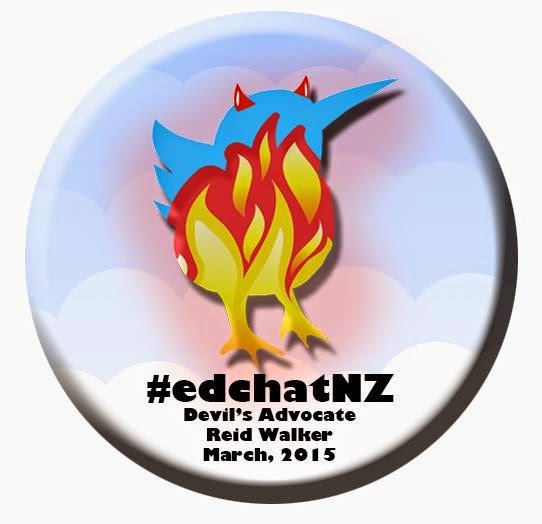 Tataiako, formalises that for NZ teachers and promotes the valuing of the intellectual and cultural capital that Maori students in particular bring to the classroom, but is extrapolated to all students as a model for effective teaching. HPPS has promoted student-led learning from its beginnings, through the promotion of student-led workshops. My first powerful experience was when a student came to me and asked if she could run a lesson to help some peers with their keyboard skills, that afternoon she ran a great workshop using Dance-Mat Typing. Projects also would see students helping others with things they needed, for instance iMovie skills, Google Draw, writing an information report or drawing a graph. PINs is different, it plays on the hearts and minds of our learners. Asking students to share their passions and interests allows them to share their hobbies, habits, activities with their peers. Students submit their workshop plans during the week, we select the plans to be used, students opt into the workshops and we then supervise them. The next week it all happens again. Our 5 year olds are running workshops, teaching their friends about things they value. All manner of topics get selected, art, dance, sport, language, drama, computers to name just a few. What might you see at HPPS on Fridays? You might see children playing in the playground, working in our learning commons or you might think it looks like organised chaos. Probe a little deeper, ask a few questions, reflect on what you know about learning and a very effective part of HPPS is taking place. Students are eager to get their plans selected, throughout the year this encourages an up-skilling in their instructional writing and may even be their first introduction to this type of writing. In choosing to run a workshop many have negotiated with friends to decide on a topic. Once their plan has been selected, students opt in, head off to workshops and come back eager to share their learning. For the students running workshops they've needed to prepare their teaching resources/equipment, negotiate with others for teaching space, deliver content, manage the behaviours of their peers, manage time, solve conflicts, it is an absolute treasure trove for our dispositional curriculum. 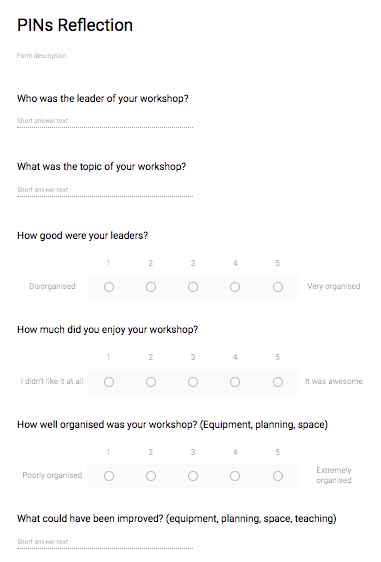 Do workshops go wrong, absolutely. But this just facilitates discussion on communication, resilience, perseverance, reflection and what the student might do differently next time. If you were to see an art, language, science based PINs workshop, it is clear that learning is taking place, in others the learning is a little less evident but present nonetheless. Consider some of the drama or play based activities (Duck Duck Goose anyone?) a student might choose, to have ESOL students running these workshops and practising their oral language is a great reason for such an activity to go ahead. In talking to one of my peers in a junior class (Year 0-2) she said "they'd had enough colouring workshops, it was time for students to up their game". Her students needed to be doing a bit more, it had been acceptable for some first-time workshops but the expectations had clearly been elevated. Parents come in to help run PINs also, this year we've had Mums and Dads helping their children run workshops cooking, doing science, sewing, sport and sharing their culture. Allowing this encourages stronger relationships with families as we open our doors, they share their values and also get to see a little part of what makes their child and his /her peers tick. A colleague reflected today that she believes the difference in engagement with PINs between our commons may even be due to parent engagement, opining that they only run PINs fortnightly and she wonders if it is a reflection on the lack of parent involvement. I've recently become another teacher with children at school, which has resulted in a philosophical and emotional shift from the role of teacher. PINs has been part of this also. PINs was top-of-mind as we considered an educational choices, how would our darling daughter be able to celebrate her passions and interests? I imagined yoga, gymnastics and cooking workshops appearing in our future. It was to my surprise that in her first week she was running a session on some app, to my knowledge she had never seen this app. As I considered the possibilities I wondered about the use of these workshops to build mana amongst a student's peers. I suspect this may have what the learning advisors were thinking, as a Dad this would be a suitable motivation. Abby's excitement about her first workshop was Christmas-like, with the visit of her teacher-aunty to HPPS she quickly roped her in to help with another workshop. Occasionally, we as teachers run workshops during this time too. We will opt students into a workshop because of a need, e.g., handwriting or tying shoe laces but our most effective one this year was when my colleague suggested a meeting with our Maori/Pasifika students. She begun the meeting explaining that she was sad that a recent cultural project in the learning common had focussed on many other cultures but that Maori and Pasifika wasn't getting the mana it deserved, what could they all do about this. This group have now introduced several waiata to the common and have created a class culture of singing after lunchtime. The role of teachers in these sessions alters based on the needs of the individuals running the workshops, our ESOL support have chosen to run workshops alongside students or just be a member of the workshop. Some students require assistance with managing the set-up, others during the actual workshop. Occasionally, there are reports of someone not doing what they're supposed, again this just becomes a chance to lead a conversation with all parties. More often than not, its directing students how best to manage their time or their peers. 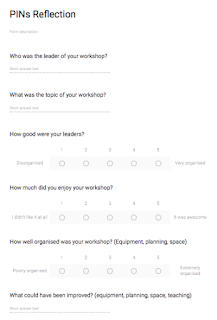 We've taken the opportunity of PINs workshops to provide disposition-based feedback/forward to students, at one stage we tried to make this written feedback but like most feedback it needs to be passed on in the moment to have any impact. As another means to generate reflection fodder, we've provided the opportunity for students to complete a Google Form (as shown). There are many ways that students get to leverage their intellectual capital in the classroom and this is only one. But in classrooms where student voice, engagement or agency are not being fully explored or utilised then PINs presents as a possible mechanism for opening up student-led learning. Our children love PINs, it's powerful and is a fantastic opportunity to allow students to lead their learning. "I like how we get to learn lots of different things and we don't have to do just reading, writing and maths everyday" (Janneke, year 2).